Pour your cream into a large microwave-safe bowl, then microwave it just until it begins to boil, about 50-90 seconds. Remove the bowl from the microwave then stir in the white chocolate chips. Whisk until the chocolate is smooth. 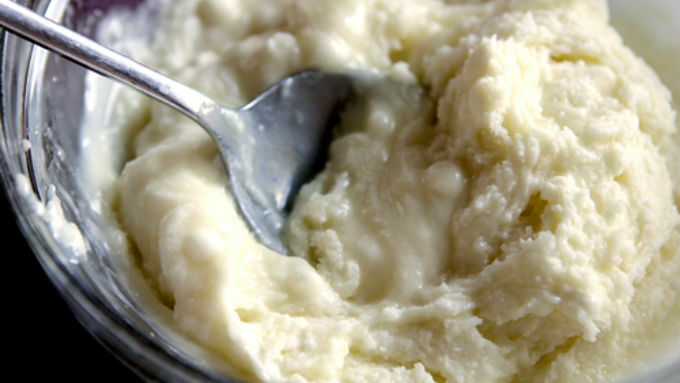 You can return the mixture to the microwave if needed until the perfect texture is achieved. Stir in the crush candy cane, just until combined, then place the mixture in the fridge to cool, for about 15-20 minutes. Remove the white chocolate truffle mixture from the fridge. Use a small spoon to scoop about a teaspoon of the mixture into your hands, then quickly roll it into a ball. Place on a piece of wax or parchment paper until all the mixture is rolled into balls. In a small, microwave-safe bowl, heat the dark chocolate chips for 30 seconds, stir, then return to the microwave for another 30 seconds. Continue to zap and stir just until the chocolate is smooth and melty. 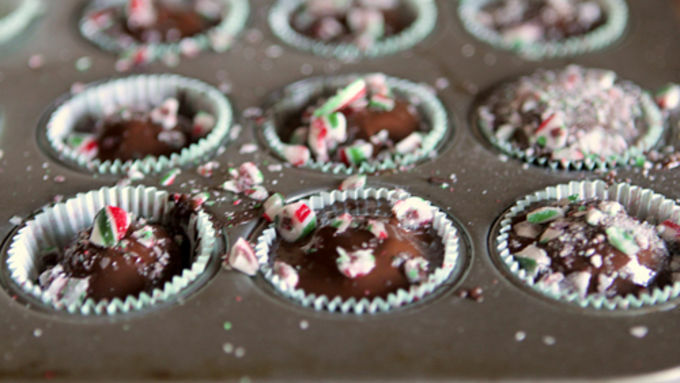 Place 24 small candy wrappers into a mini muffin tin. Spoon a small amount of melted dark chocolate into the bottom of each candy wrapper. Place a white chocolate truffle ball on top of the chocolate, then drizzle just enough chocolate over the white chocolate truffle to cover it completely. 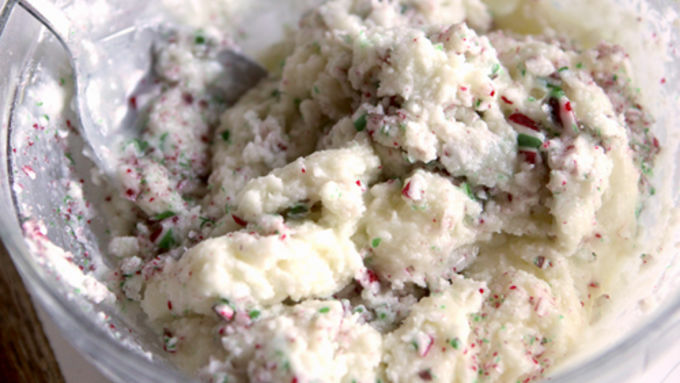 Sprinkle with crushed candy cane, if desired. Allow to cool completely at room temperature until ready to serve. 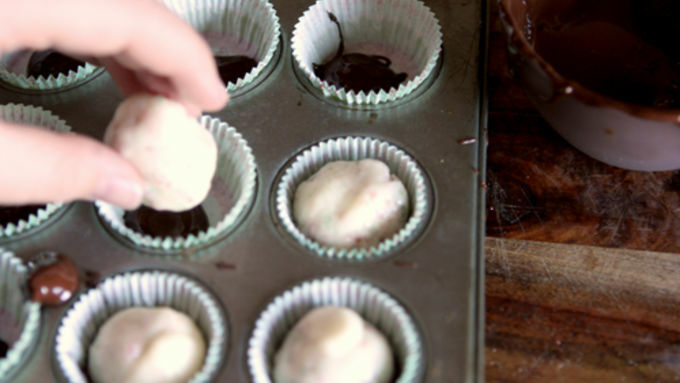 Save money and wow your people with these easy homemade White Mint Truffles. There is nothing quite so indulgent as a chocolate truffle. Just say it. Chocolate truffle. I bet you couldn't help but say it with the slightest French accent, huh? Yeah, it happens to the best of us. Chocolate truffles aren't just for the French, though, ya know? You can make them at home with four totally easy ingredients and in less than an hour. Here's how to stir up a batch of our exclusive White Mint Truffles that feature a smooth, white chocolate center, creamy dark chocolate shell, and little bits of peppermint candy cane. This recipe uses white chocolate chips but you can also use a white chocolate candy bar, which I think makes even more gorgeous truffle centers, but sometimes they are hard to find. So don't beat yourself up. White chips will do if you can't find 8 ounces of a white chocolate candy bar. 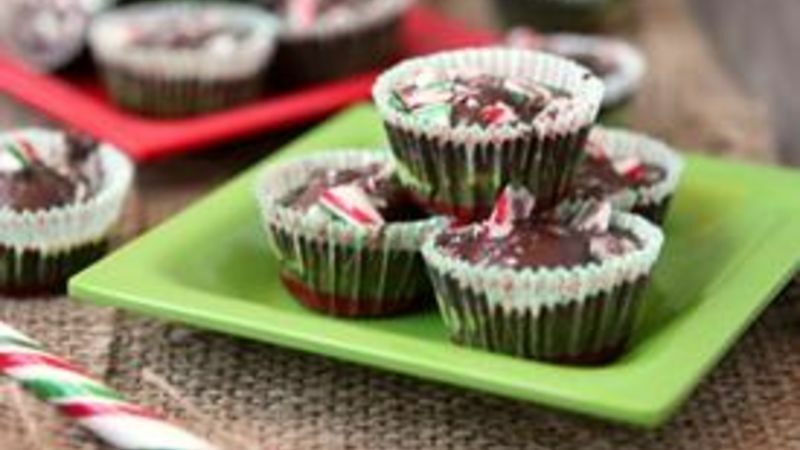 These peppermint treats are perfect for sharing. Or don't share. Just practice that French accent. "Chocolate. Truffles." You're gonna need it! Candy is great on a cookie plate. Use it as homemade edible gifts or as a hostess gift. Here are a few more recipes to get you going.